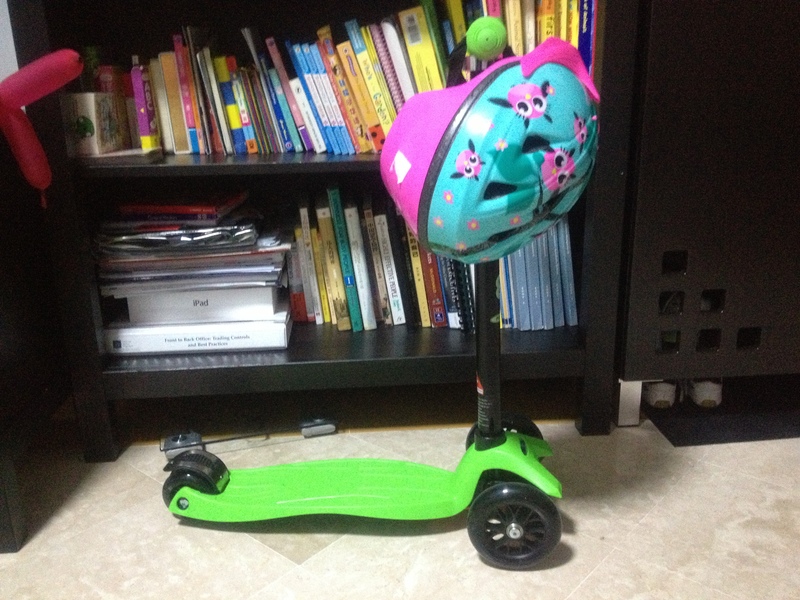 Our neighbour, a Korean little girl who’s just less than a month older than Sophia, can ride her skate scooter very well, possibly better than me! Sophia’s still stumbling along, better buck up! To be fair, this is legitimately a toy, from a toy shop, the biggest one I am aware of in Singapore, no less. So children are expected to play with it, right? Sophia designated the positions, so don’t ask me about logic. Its just amazing how much fun kids can derive from pretend play. 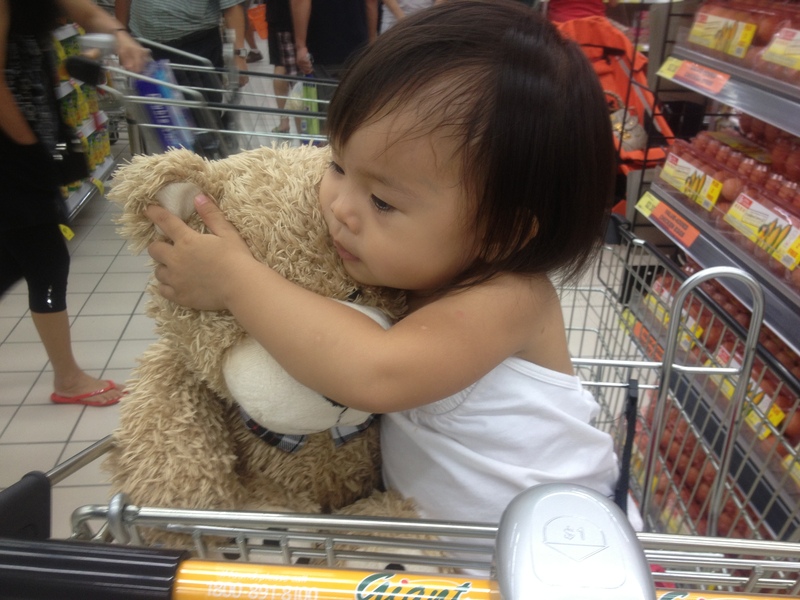 Sophia can give all her soft toys baths everyday and not tire of it. She even gets up to antics like put her tigger in a basket, carry it outside her room and say bye to it while closing the door on it. Unfortunately, fun pretend play doesn’t necessarily translate to her liking the same action in real life. She loves feeding her soft toys cough mixture but when its her turn to have it, she hides her mouth wherever she can, even if the nearest object to cover her mouth with happens to be something like my foot. She must really hate that stuff. 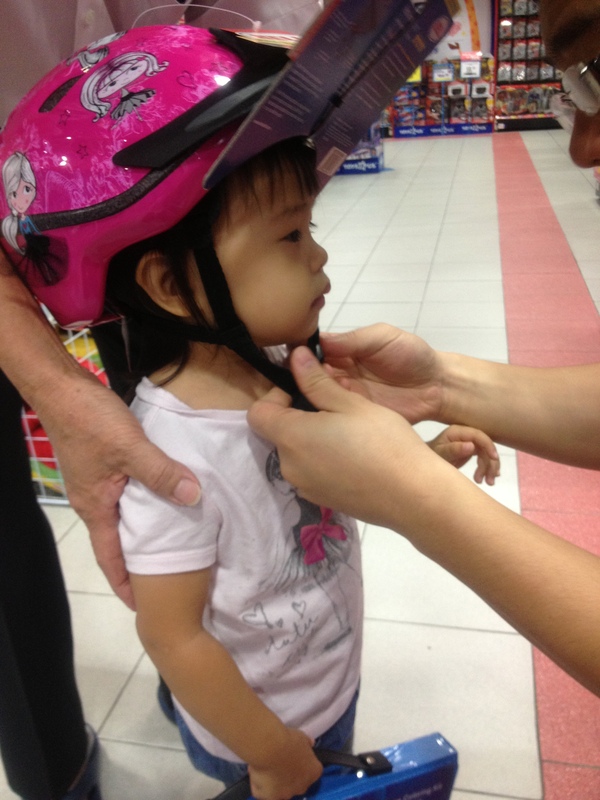 Sophia loves going to the toy department of department stores, the nearest one being OG a few minutes’ walk from our place. Watching her play is often amusing. Like here, where she brought toy bunnies down from the shelf one by one, placed them on the floor and pat each on the head before doing the same with the next rabbit. Toddler imagination is indeed incredible. Sophia now loves playing doctor and she ain’t need any toy stethoscope, my earphones function perfectly well for that function. For someone as afraid of the stethoscope as her I’m just amazed at how much she loves playing this doctor game. All her toy animals (and she has lots of them) have already been diagnosed at least 3 times each by her. Usually the entire process is rather silent but sometimes she declares a diagnosis. The daddy has been deemed to “cannot walk” by her and she declared “cold” on me once. The rabbit was cleared though, as it “can walk”. I’m not sure what made her associate doctors with the ability to walk or otherwise. Perhaps those jabs in the thighs that were so painful she couldn’t walk? Regardless, its extremely cute to watch. Oh and all her bears get a bath a day from her, at her play sink. I wouldn’t let her give anything alive a bath anytime soon judging by the way she does it. Doctor at work. Do not disturb.